Pop quiz: Can you name the 4th largest city in the U.S.? OK, you probably guessed Houston, TX using context clues. Good job. But you might not have known otherwise, right? Anyway, the point we’re trying to make is that the city of Houston is going places. 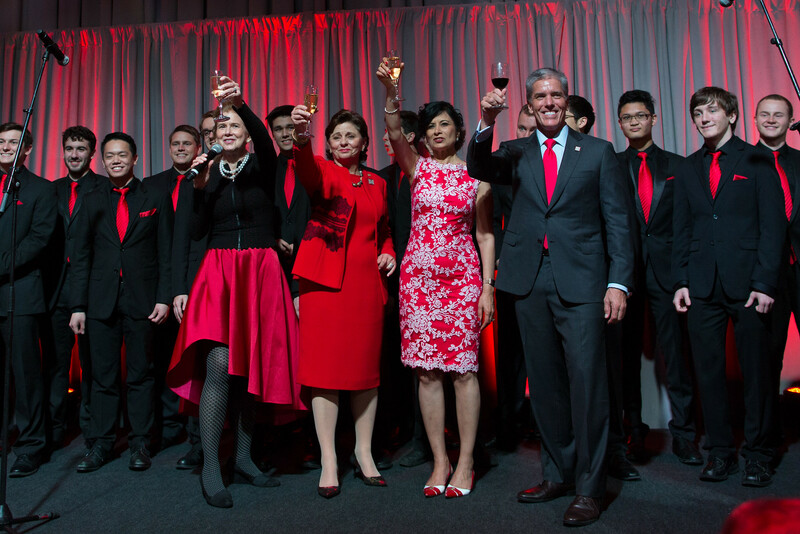 Much of that comes with the territory of being the Energy Capital of the World, but most of it is due to the fact that the University of Houston is fueling its momentum. The energy of the place can be felt all across campus—a go-getter mentality that leads the people of UH to do things their own way (and often, better). One University faculty member explained that if you get an idea and three people to agree with you, you can make it happen. (That’s why they call it the Can-Do City.) And while Houston knows Houston is awesome, it’s still somewhat of a well-kept secret nationally. So the University of Houston decided to get a whole lot more than three people together and do something about it. They’ve embarked on an ambitious goal of raising $1 billion by 2020—UH’s first comprehensive campaign in 25 years—and have enlisted the help of us up here in the 5th-largest city to help them make their case and tell their story. 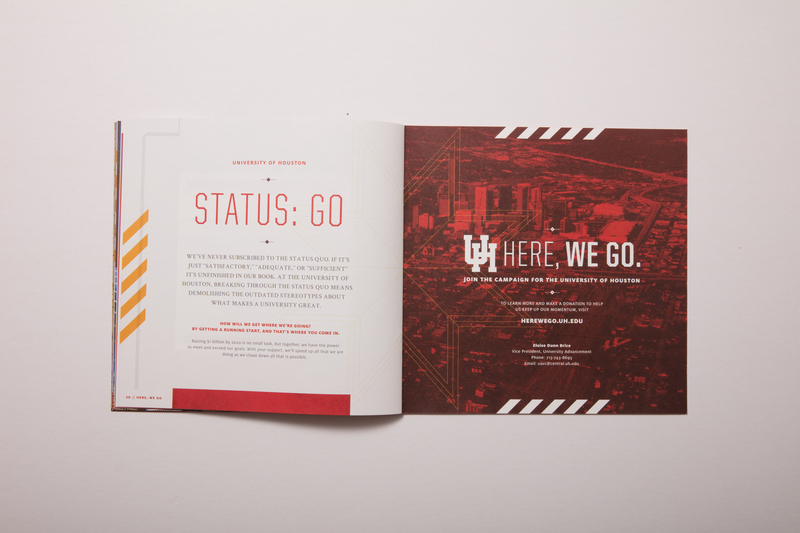 Using everything we learned about Houston, we thought it only made sense to create a campaign all about embracing and building upon the University’s momentous energy. 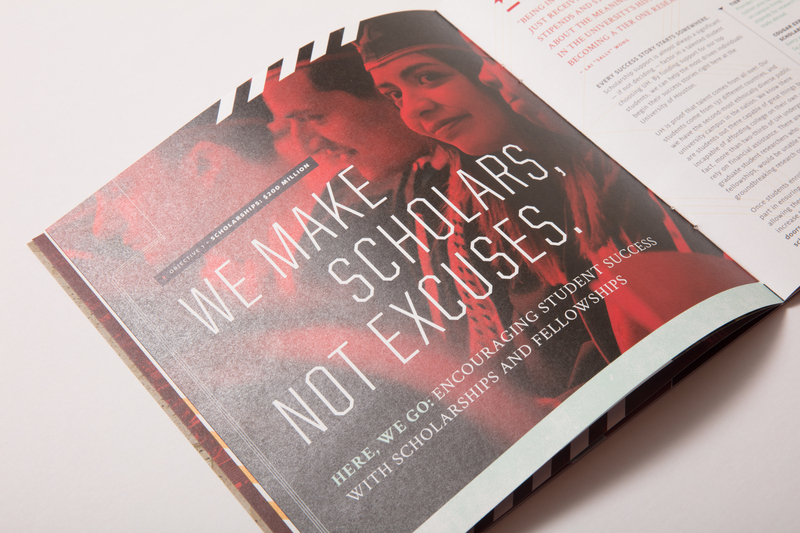 Through the “Here, We Go” campaign, we are introducing potential donors to the places, the people, and the continual strides forward that make UH both a unique community and a cause worth investing in. 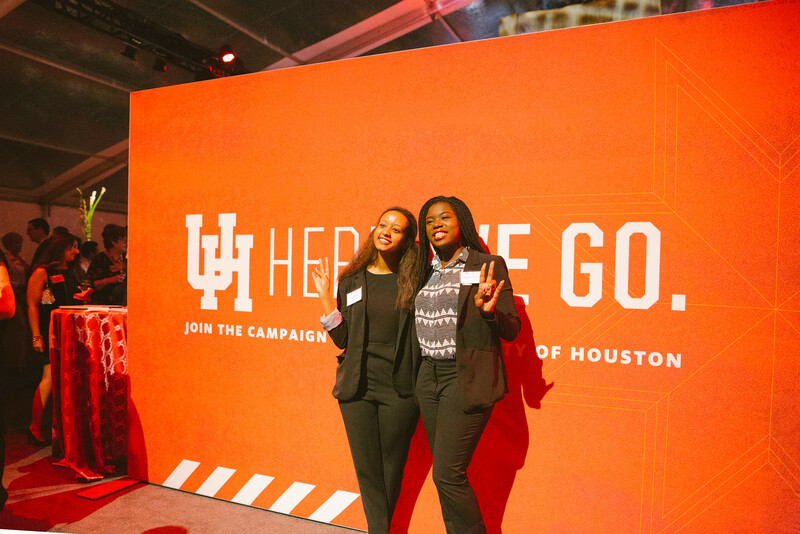 The campaign revolves around five specific areas to support under the umbrella of the $1 billion goal: scholarships and fellowships, student life, faculty support, a healthier Houston economy, and a nationally relevant athletics program. 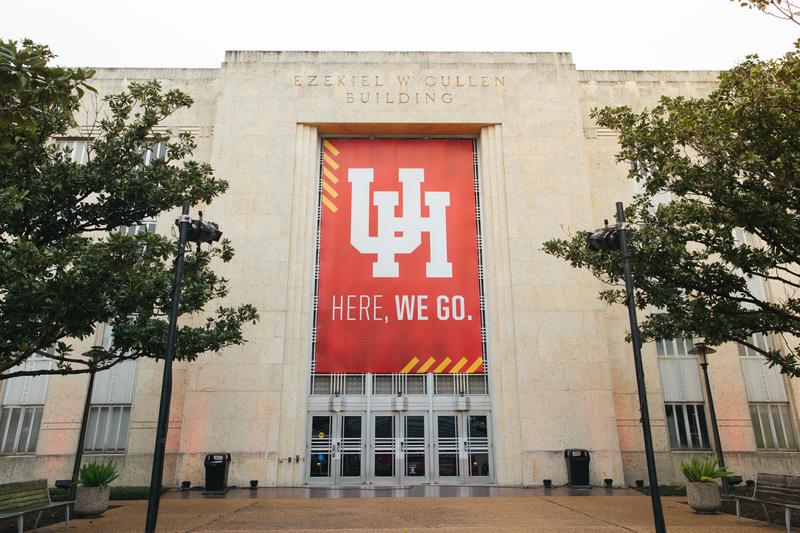 For those who are already lifelong loyalists, “Here, We Go” is a chance to celebrate all the reasons they’re proud to be Coogs, while accelerating into the future. The campaign kicked off with a thank-you event for donors on January 18, at which our hype video was premiered. And get hype, people did. 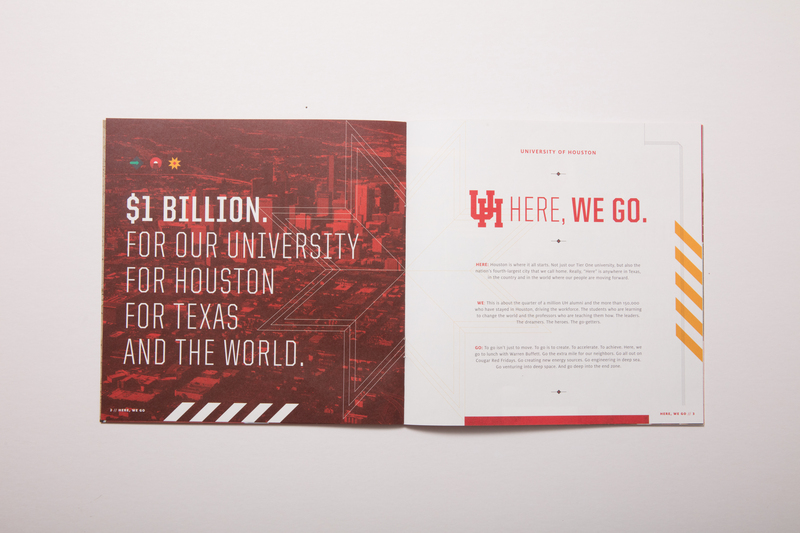 We managed to wrap up all the energy and excitement of the campaign launch into a case statement that went out to potential donors to inspire support across the five areas of impact, further making the case for why the $1 billion is essential to the future of the university, of Houston, and of the world. So far the University of Houston has raised $805 million, putting them more than three-quarters of the way to their goal. As for the remaining amount…here we go. Previous : Founded in 1819. Marketer of the Year 2017.